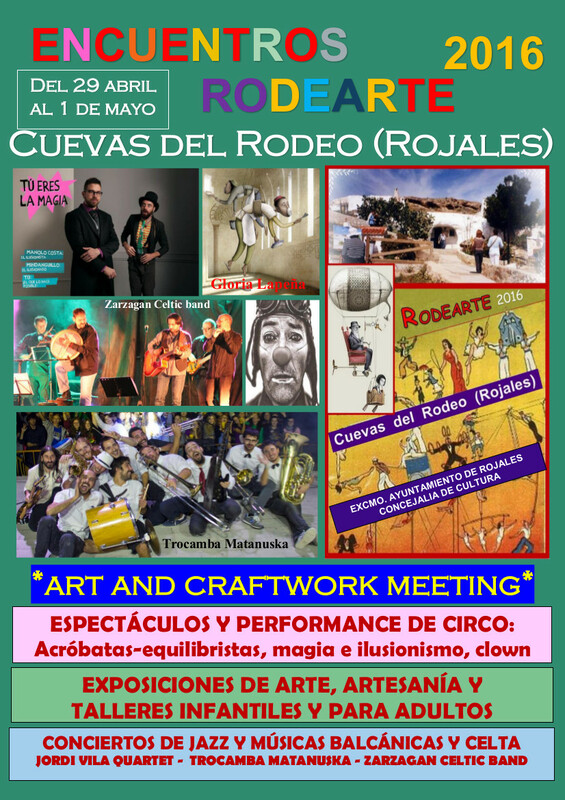 We are pleased to invite you to Rodearte, a festival of arts and crafts consolidated year after year in our neighborhood. This time we are very happy because the are a lot of activities for all ages. We are loving Gloria Lapeña, an artist who ilustrate the ancient world of our region in the islamic period. Also we recommened “La Trocamba Matanusca” a band of balkan music from valencian community. 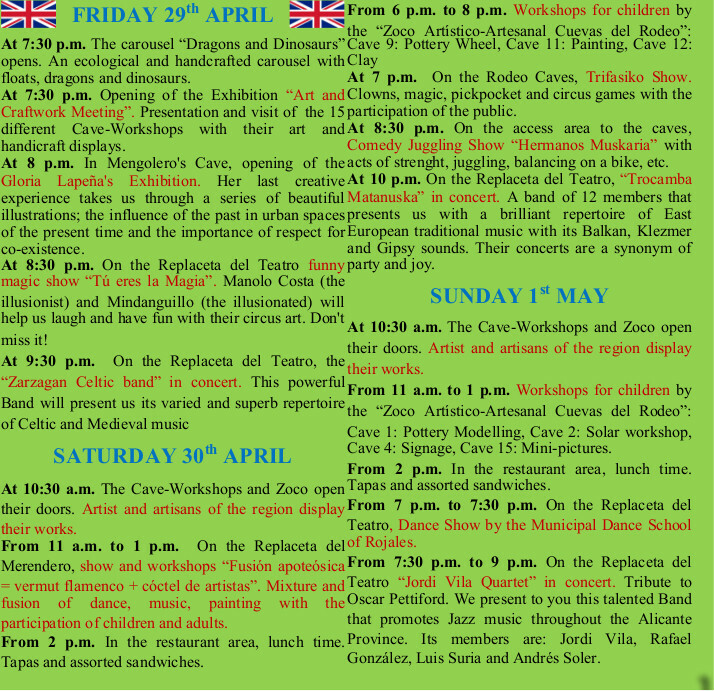 During the festival will be held on 29 and 30 April and 1 May, you can enjoy of workshops and circus spectacles. We will wait for you !! !